Satan. Beelzebub. 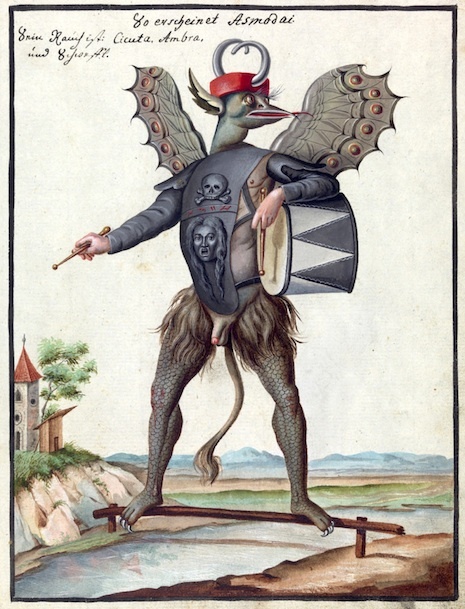 Mephistopheles. 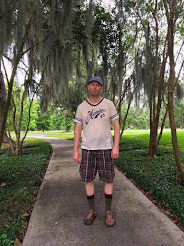 All those spooky demons and beasties we have come to associate with the Devil and Hell and eternal damnation never really played much of a part in early Christianity. They were primarily invented later by the Catholic Church to scare the hell out of people. 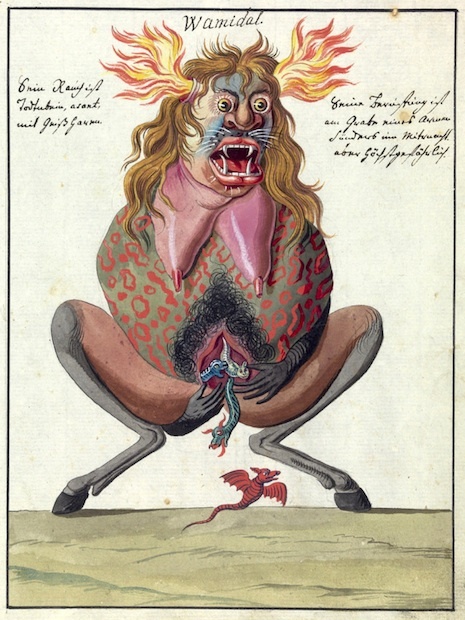 Some of these diabolical creatures are contained in a book titled Compendium rarissimum totius Artis Magicae sistematisatae per celeberrimos Artis hujus Magistros, published around 1775. 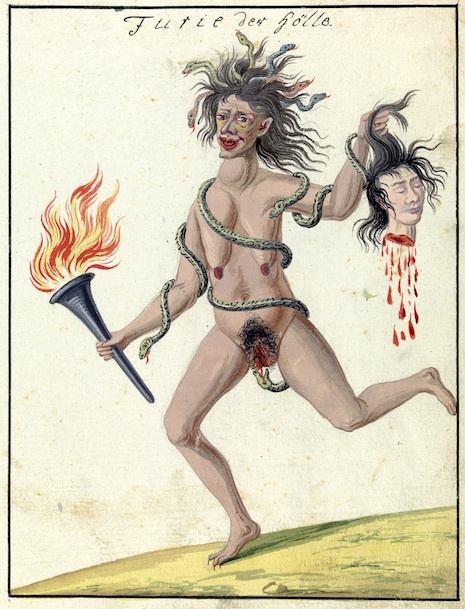 Most of the 31 illustrations in the book seem to be warning would-be sinners that women's vaginas are a god-forsaken place full of serpents and nasties and their breasts sagging bags of oozing poison. 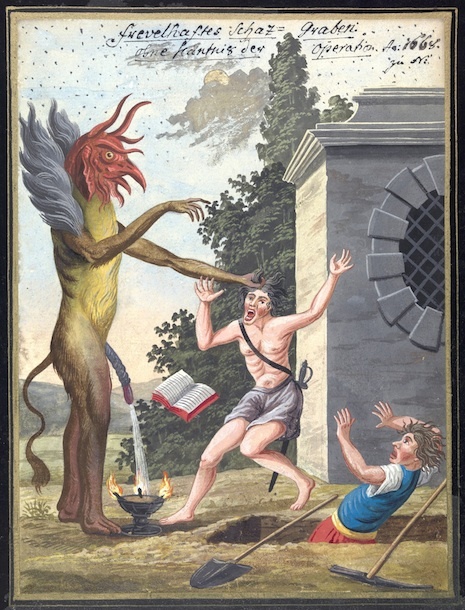 Here the rooster demon Cronxtipus is seen shooting a stream of syphilitic urine into a ceremonial cauldron and gently inviting a young Steven Tyler to bend over and have a drink. This illustration, one of thirty-one in the book, is titled simply "The Nerd," and is a proscription against fantasy role-playing games and whacking off to re-runs of Buck Rogers in the 25th Century. 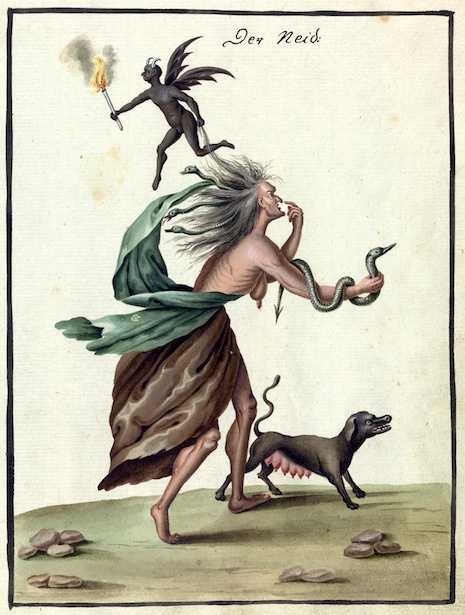 But it's not all bad news in the Compendium rarissimum totius Artis Magicae sistematisatae per celeberrimos Artis hujus Magistros. Here it is foretold that Taylor Swift will murder Michael Bolton on stage at the 2015 People's Choice Awards, thus putting an end to one of the darkest chapters of evil in human history. "Thou shalt not party in Oprah Winfrey's mouth." 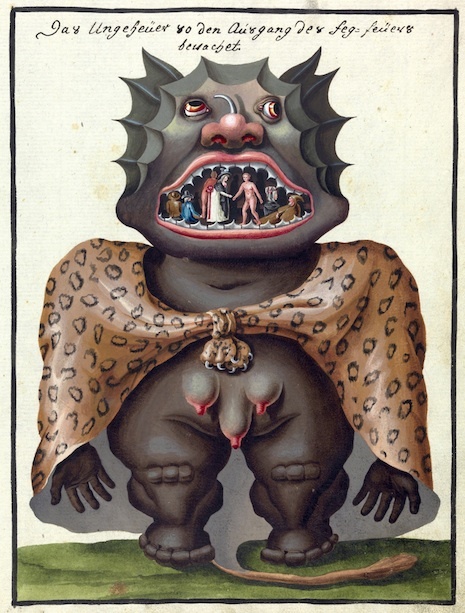 The Arch Devil Asmodeus was reportedly very angry with the artist over this depiction of his rammalammadingdong, claiming it was a very cold morning when he stood for this portrait.